Well, that’s not strictly accurate. Of course I teach embroidery, but it’s not the most important part of my job description. What I actually teach is confidence. 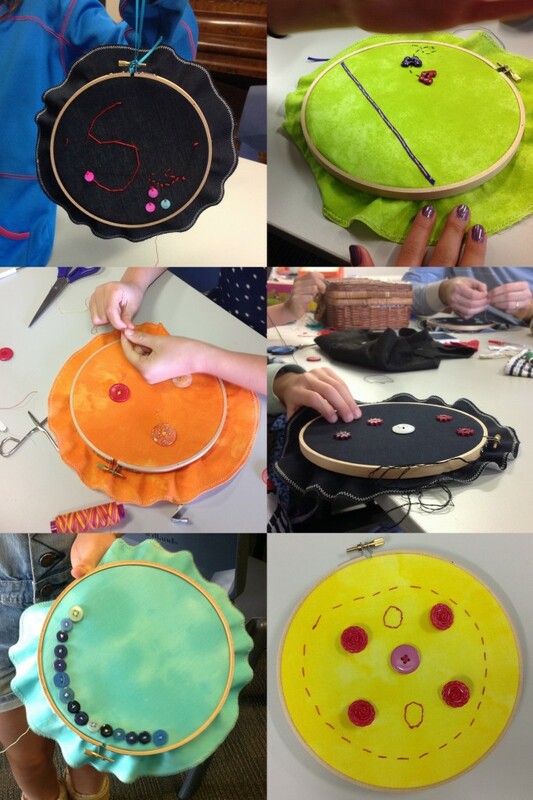 I have been running Beautiful Stitches for over 6 years and during that time I have taught workshops that run for just one day through to classes that have been running weekly for four years. With time and experience it has become very clear that the two most important gifts I can give my students are inspiration and confidence. 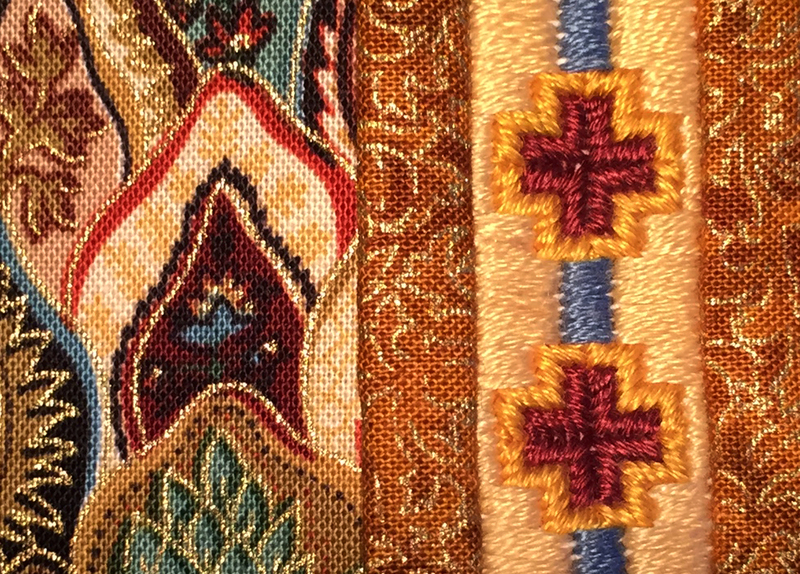 You see, at its most fundamental, embroidery is simply “needle up, needle down, repeat”. 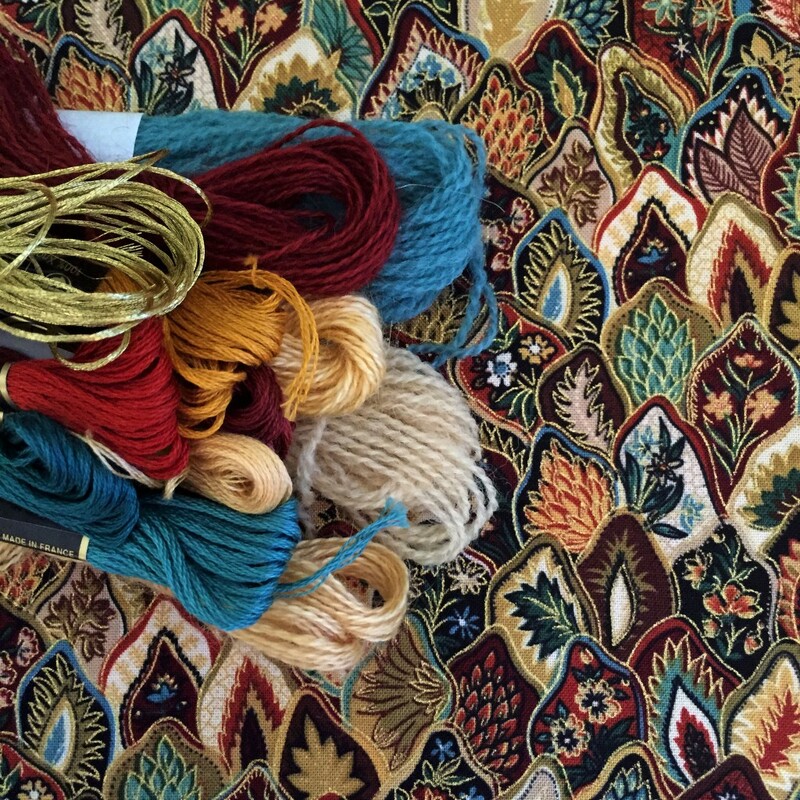 Of course there are a myriad of ways that this simple process can be varied to create a lovely range of textures and patterns. But in the modern world, you can find almost limitless tutorials online showing you how to stitch all these wonderful effects. 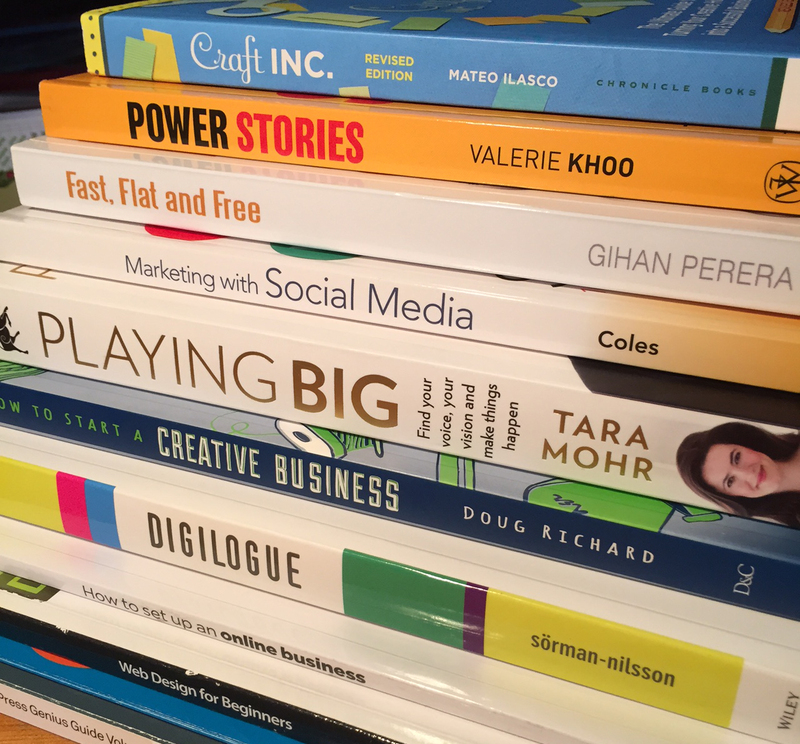 There are countless books to inform and inspire. In fact, the choice and range of possibilities can almost be overwhelming. And that’s where I come in. 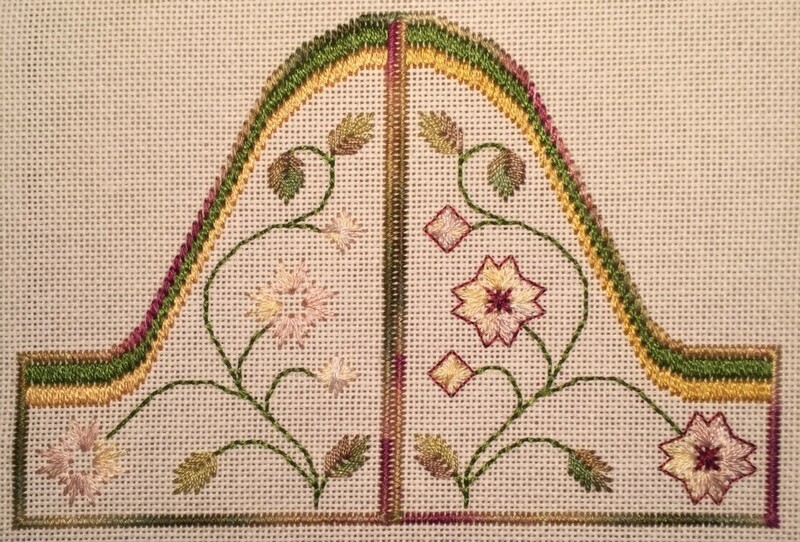 If you come to one of my classes, I will absolutely show you how to work a range of different embroidery stitches. 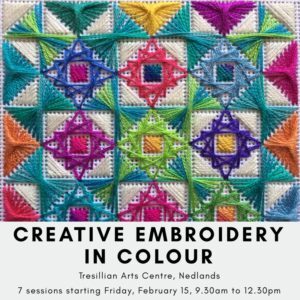 And we will often look at all sorts of interesting techniques to complement those embroidery fundamentals – painting or colouring the base fabric first, manipulating layers of fabric, playing with colour choices and thread textures, adding embellishments, etc. But my main job is to make sure that the voice inside your head is saying “I’ve got this!”. Thankyou Ann-Marie for an enjoyable week of colour, beauty and challenge. 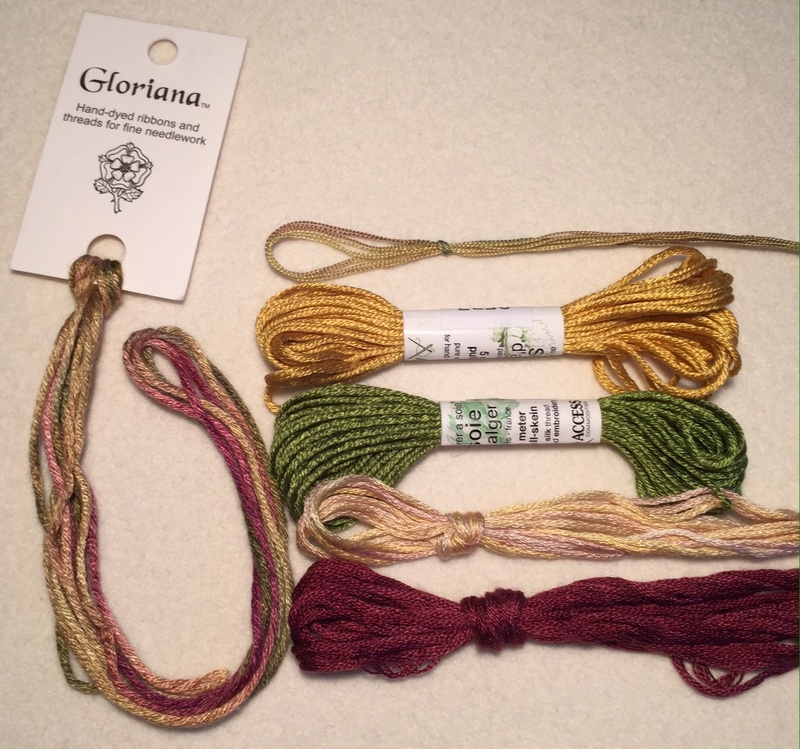 Though not your best student, I have enjoyed the start of my journey into embroidery. You have been so patient with me. I now find myself counting more. The stitches make more sense as I find my rhythm. It will take me a long time to finish, but I will. You have given all of us the joy of colour, texture and creativity. I cannot tell you how happy this made me. Because for me this is what it is all about. This is why I started Beautiful Stitches in the first place, and this is why I am excited to keep working on it every single day. 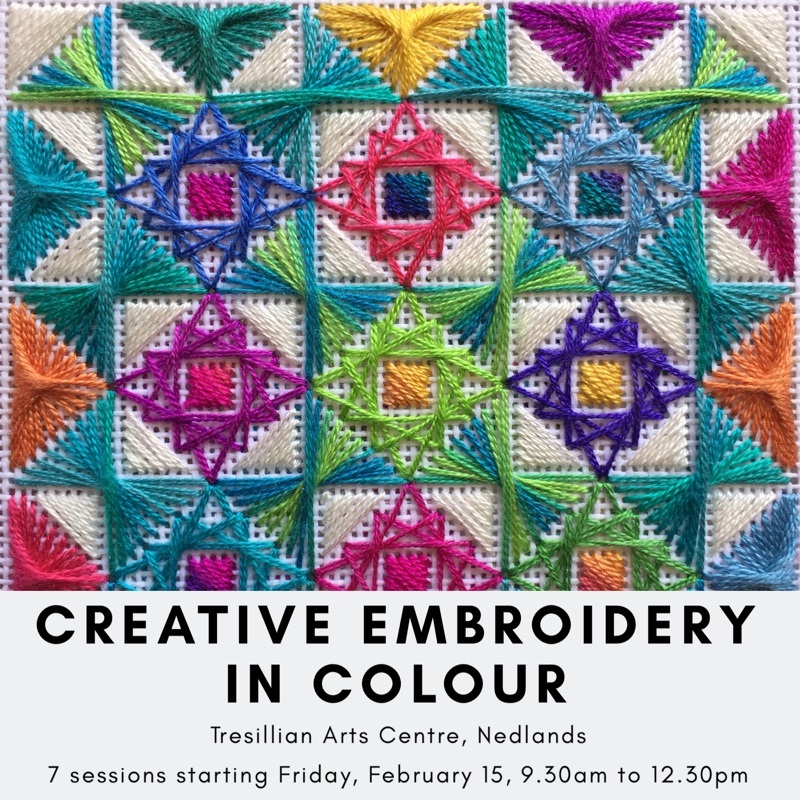 Creative Embroidery in Colour, Friday mornings from 9.30am to 12.30pm, 7 sessions starting February 15: This class is for anyone who wants to play with embroidery. If you are a beginner, I will absolutely get you started with some basic techniques and simple projects. 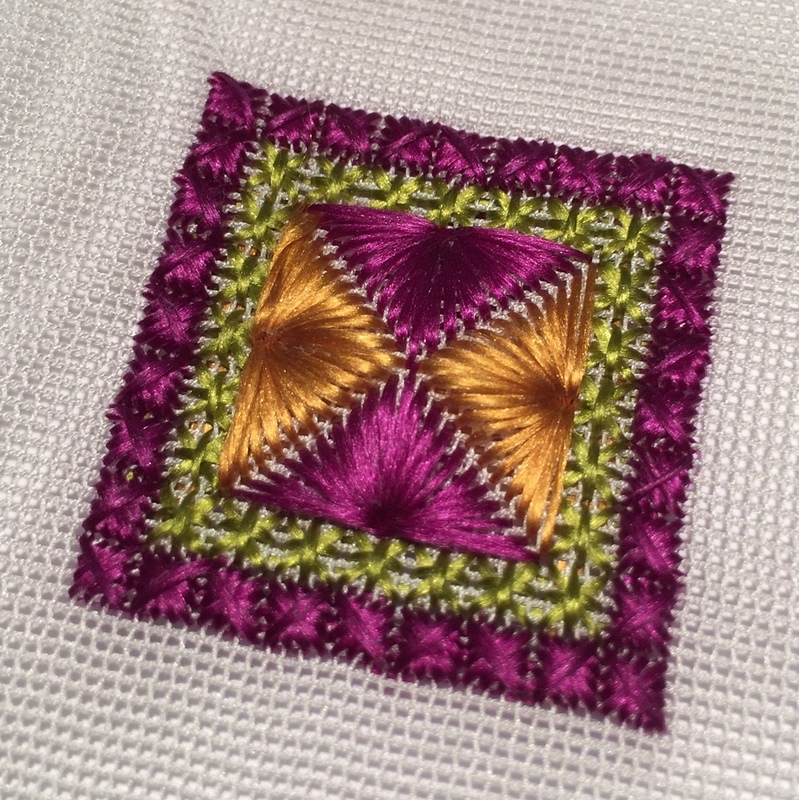 The “Creative” part can be as simple as taking an existing embroidery design that you like but making it your own by working it in different colours. For those with more experience, you can work on projects of your own choice. 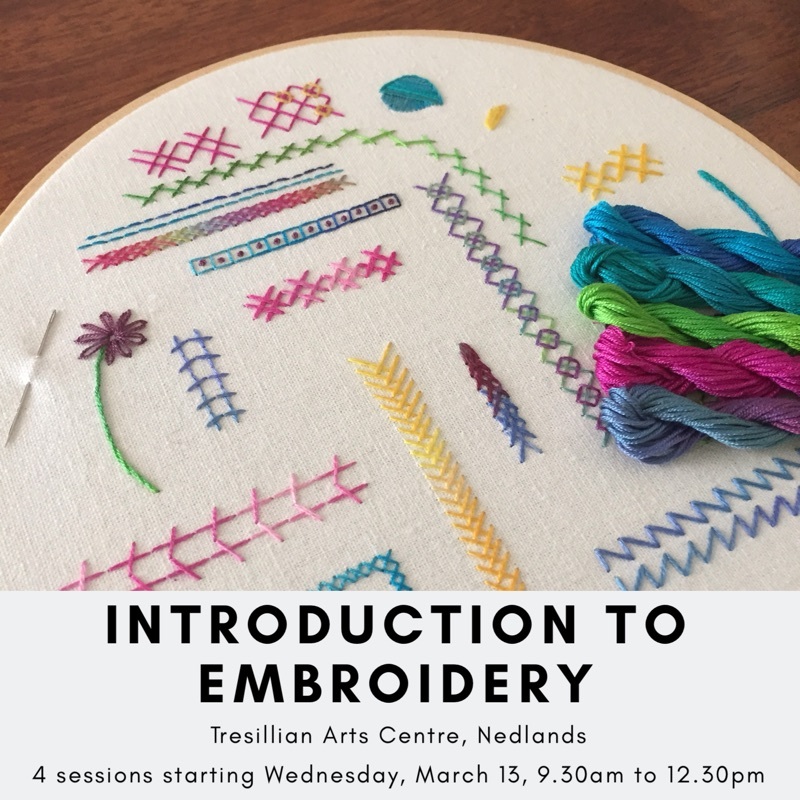 We will explore together a range of resources and ideas that will give you the confidence to start creating your own embroidery designs. Introduction to Embroidery, Wednesday mornings from 9.30am to 12.30pm, 4 sessions starting March 13: This class is for anyone who wants to learn or refresh their knowledge of basic embroidery stitches. 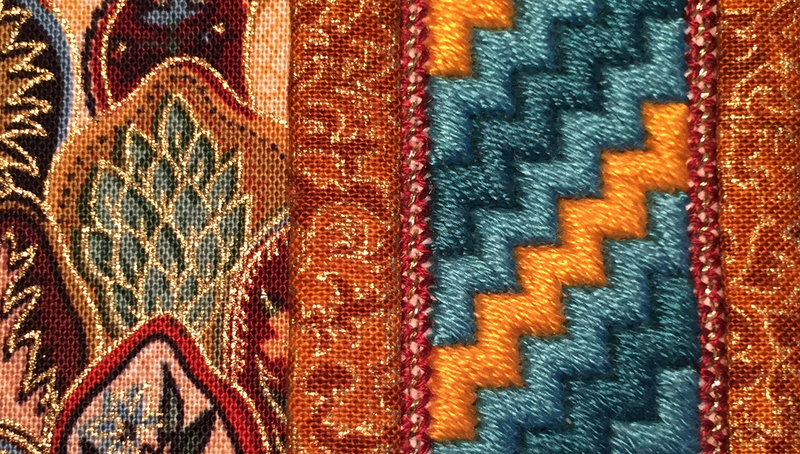 We will work on both evenweave and surface stitches so that you have some experience in these two main branches of embroidery. 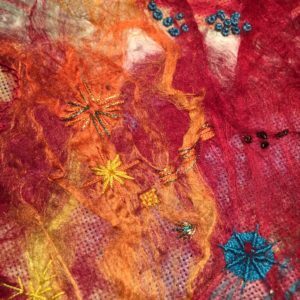 By the end of the four week programme you will be armed with the knowledge and confidence to tackle your next embroidery project. You can find further details and how to book here. If you want to find out where else I will be teaching this year, then you can find all the details on my Classes page. And if you would like me to come and teach a workshop to your group, then send me an email and I’ll be very happy to see what we can organise. Another year – another birthday! With all the best intentions in the world, it seems that I can either keep up with my social media commitments or I can write my blog. I just don’t have the time (or perhaps the organisational skills!) to do both. And it is really important for me to make sure that I have time to keep stitching and designing – after all that is what Beautiful Stitches is all about. I have had an amazing 12 months. I have more and more lovely students in Perth. 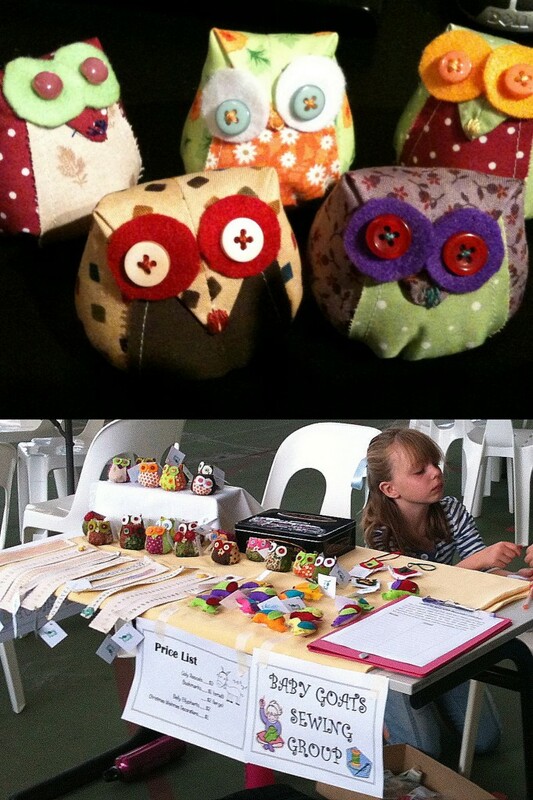 This year I also had my first interstate teaching trip to Melbourne and Geelong in July – it was so much fun!!! 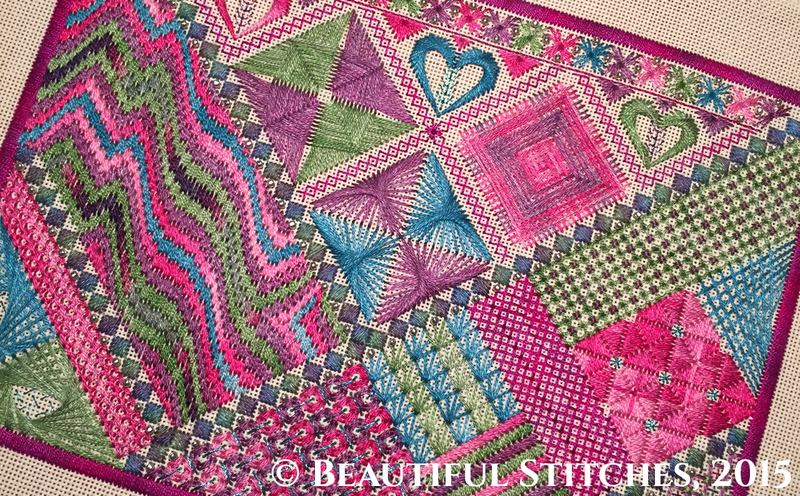 Beautiful Stitches continues to be something I am incredibly grateful to share with you all 🙂 If you would like regular updates on what I am doing, be sure to follow me on either Facebook or Instagram. So to celebrate my birthday as well as to say a huge thankyou to you all for your wonderful support, my gift to you this year is Autumn Fireworks. 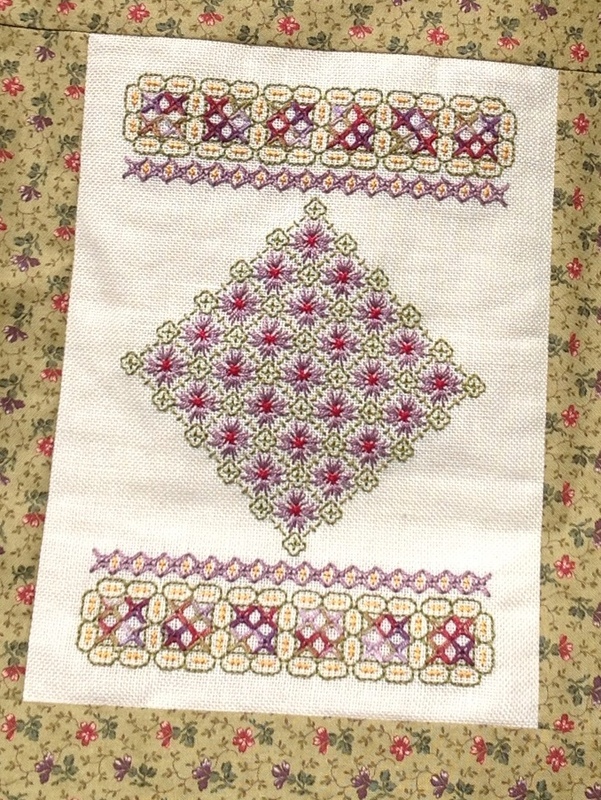 Click here to download the PDF pattern. 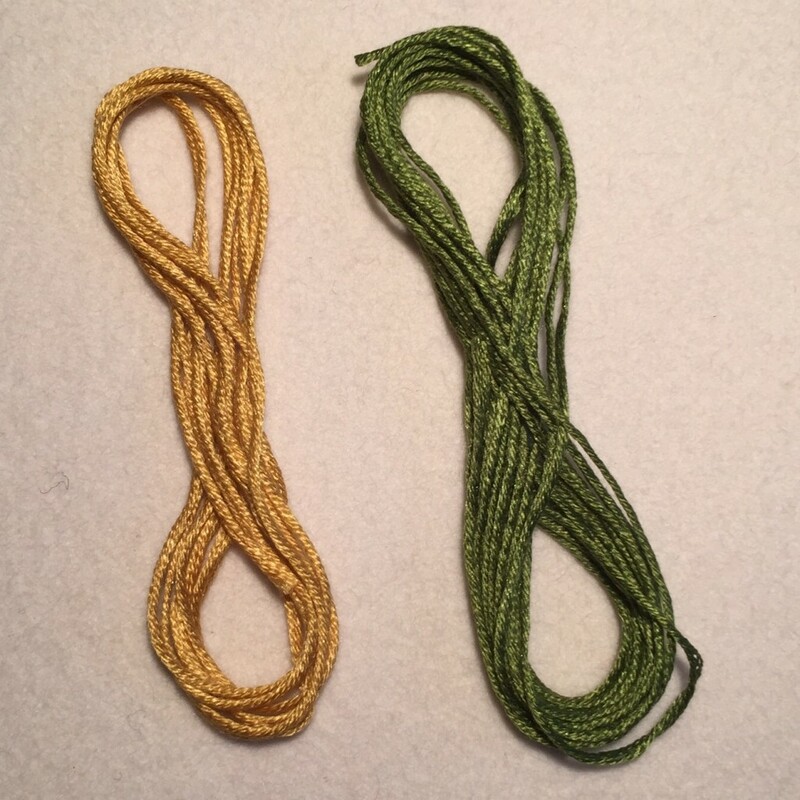 This pattern grew out of a thread I dyed myself in a workshop with Jacinta Leishman from Spiral Dyed Threads. I hope you enjoy it and perhaps learn some new stitches. 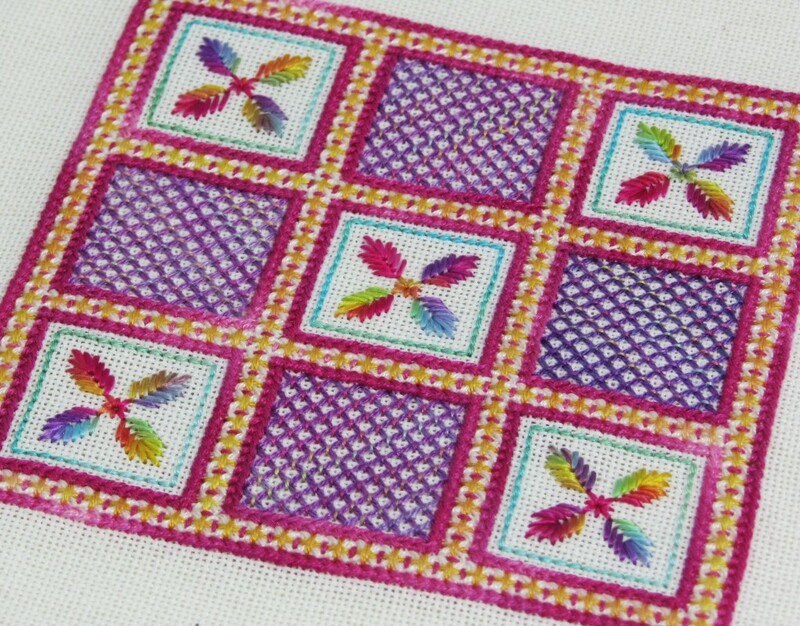 It’s a sampler style project – ideal for you to pick and choose which section you want to try. Or just dive in and do the whole thing! Hello Beautiful Stitchers! 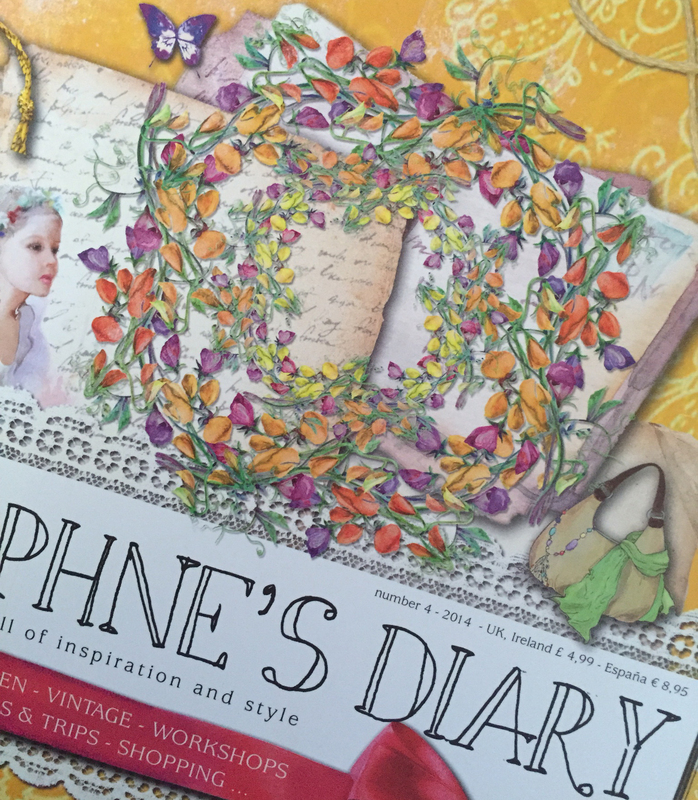 I simply cannot believe that it is four months since my last blog post. I do not know where this year is going. My apologies for the blog hiatus. 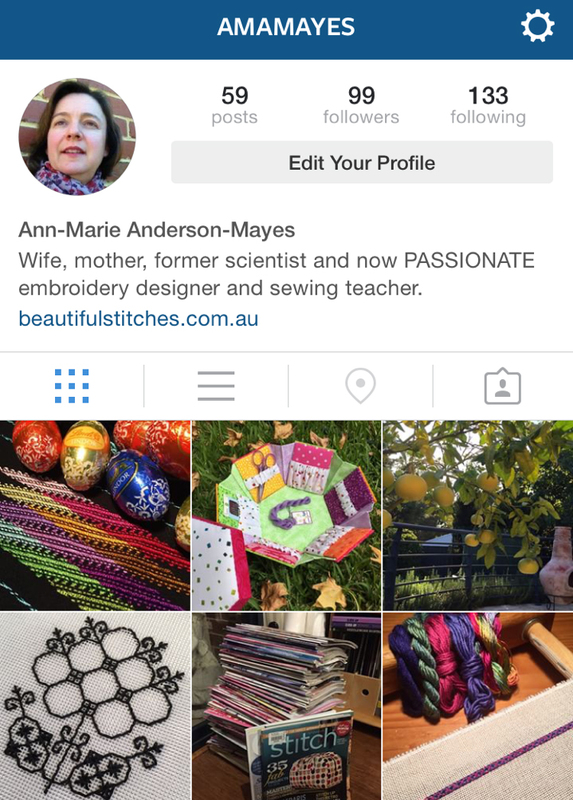 If you follow me in other spaces (namely Instagram and Facebook) you will know that Beautiful Stitches has been going through a step change in the last few months and I have been running very fast to keep up. 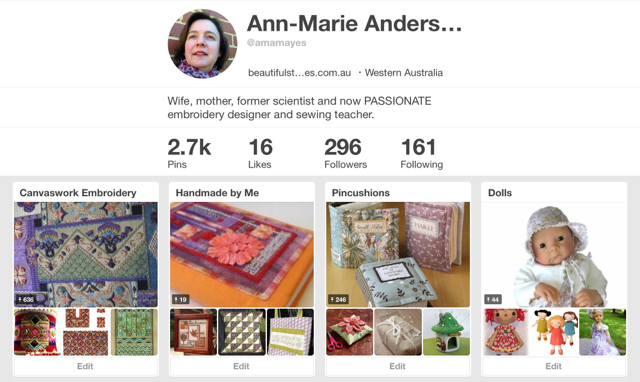 2015 has turned out to be a pretty exciting year: my social media following has grown substantially; my teaching bookings are significantly higher than they were this time last year; and all this interest has prompted me to focus on opening on an Etsy store to sell my patterns and kits. Something had to give, and I opted for it to be the blog in the short term. But, the good news is that I almost have a handle on things again and I look forward to sharing some longer posts with you again soon. In the meantime, today is my birthday and I am in the mood for celebrating! The Beautiful Stitches Etsy store will be open by the end of this week (announcements and links will be posted here and on my social media accounts). 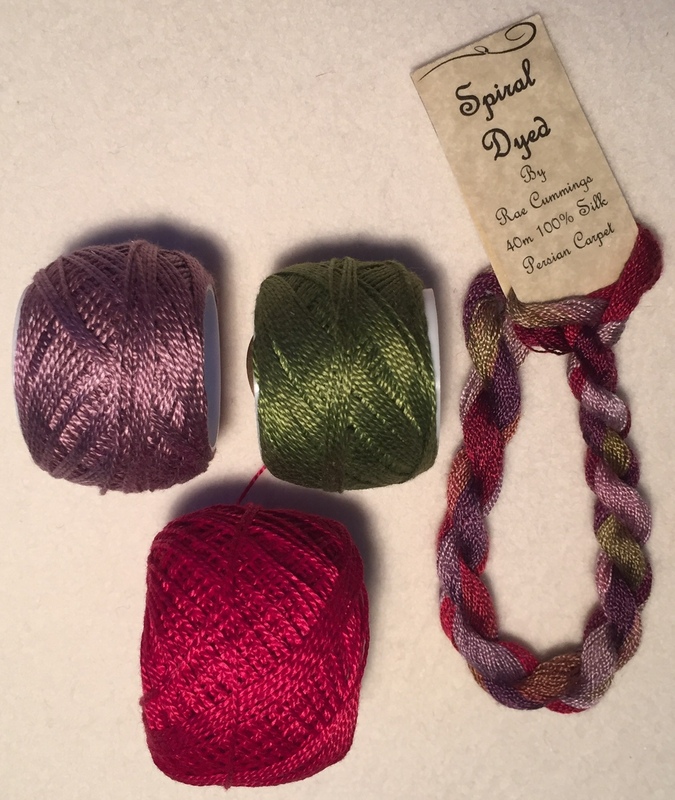 But I know it can be daunting to spend good money on a pattern or kit if you are not sure of what you are getting. 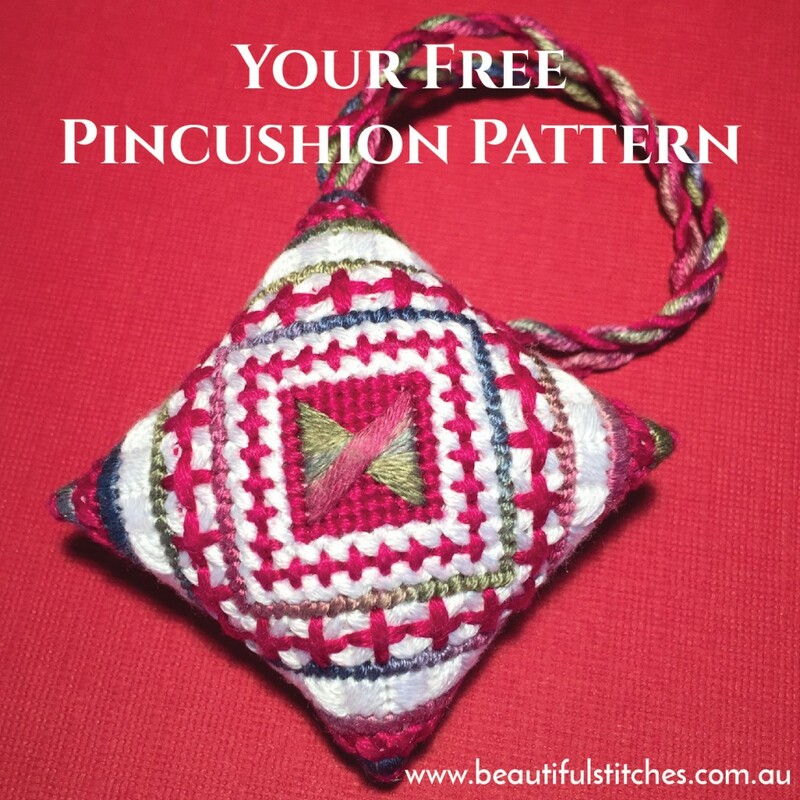 So, I am giving away this free pincushion/scissor keep design so that you can see how I write my patterns. 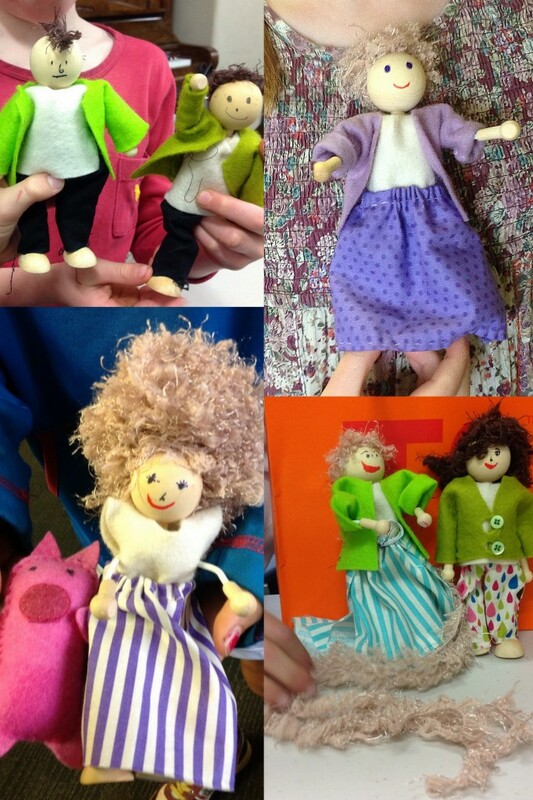 If you do decide to purchase one of my patterns, I want you to feel confident in the quality and detail of my instructions. 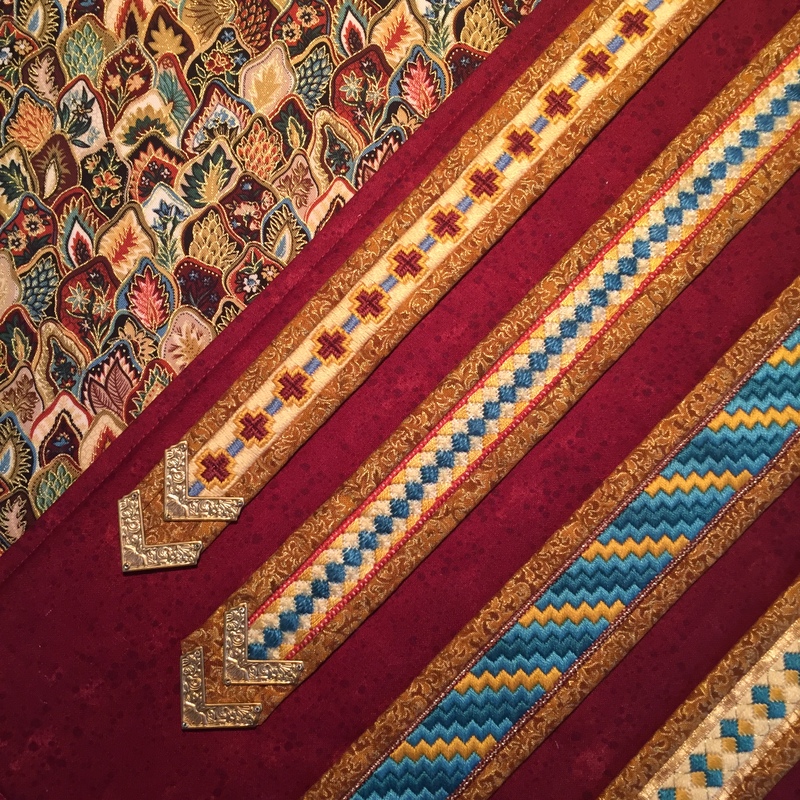 At this point, some of you are saying to me, “Ann-Marie, this is great but I just don’t have time to stitch at the moment.” That’s OK – I have you covered too. Every one of my patterns comes with a bonus colouring-in page. You can use it to help plan the colours for your stitched design or for the sheer pleasure of colouring a beautiful, geometric pattern. 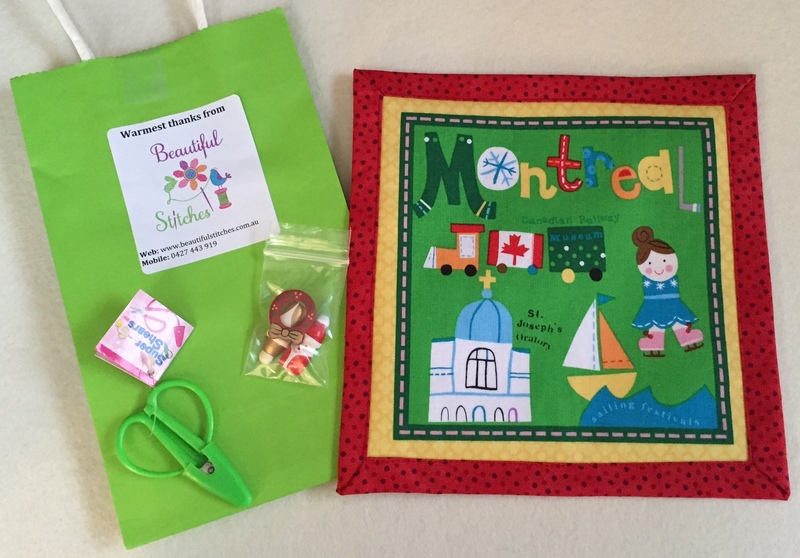 Whether you are stitching or colouring, please post a photo here or on your favourite social media account when you are finished. 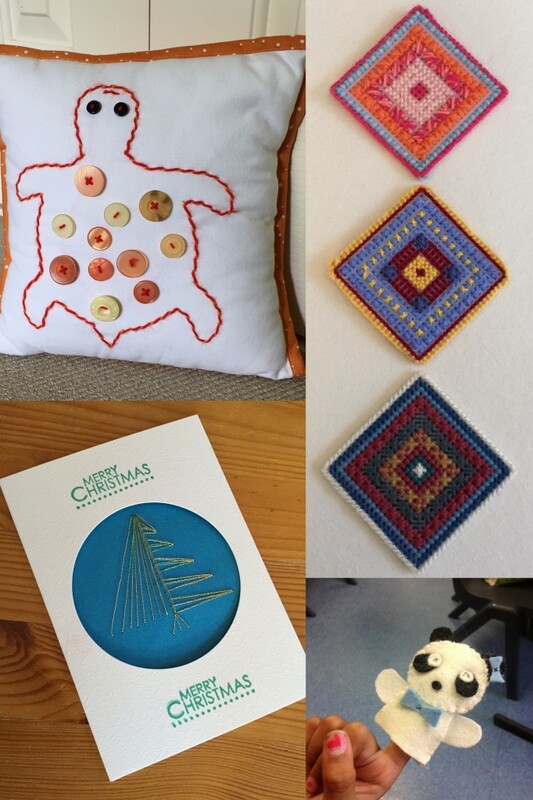 I love to see all your beautiful stitches and creativity! My wish for you? Go make some mistakes! 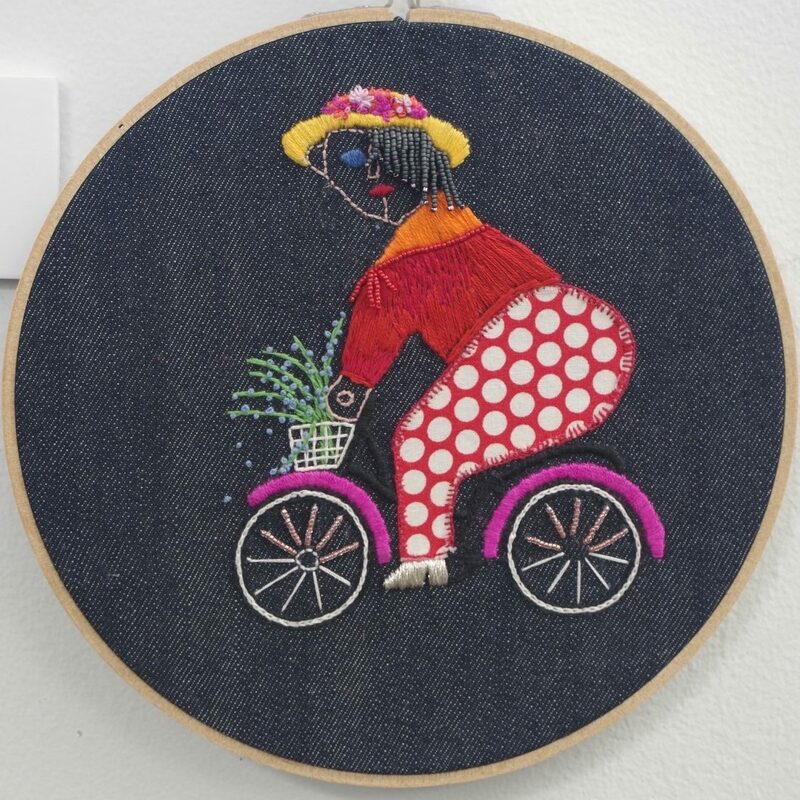 As an embroidery designer I have worked hard over the last few years to find my own style – to bring together my favourite colours, stitches, fabrics, patterns and ideas to create something which is truly my own. The most wonderful comment came through on my Instagram feed yesterday which helped me to feel like I might finally be achieving that creative goal. I always know which posts are yours, even before I see your profile name. I love your work! I was doing the biggest happy dance, I can tell you. I was so excited!!! All the time and effort I had put into learning my craft, challenging myself to create my own designs, finding those creative intersections that really made my heart sing – it had all been worth it! And a really big part of that has been and continues to be making A LOT of mistakes. Let me share with you an example that is challenging me right now. 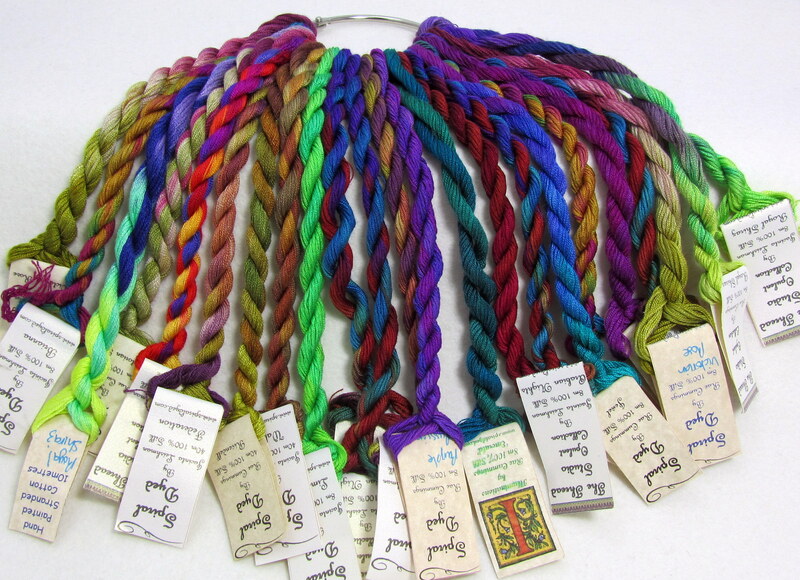 I really want to work out a beautiful and simple way to mount small pieces of canvaswork embroidery as jewellery. One of my goals is to use this as a teaching project, so it is particularly important that the mounting process needs to be easily reproduced in a classroom situation. Step 1 – Creating the embroidery was fairly straighforward. 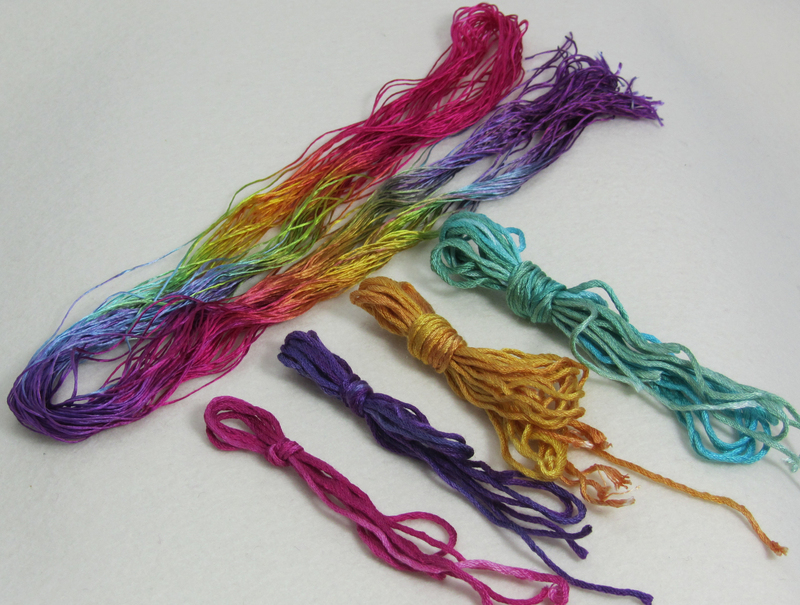 I decided to work on Chinese silk gauze fabric using some divine flat silk threads. So far, so good. A 30mm x 30mm piece of embroidery ready for life as an embroidered pendant. Step 2 – With no jewellery experience at all I needed to find out how people were mounting embroidered pendants and brooches. 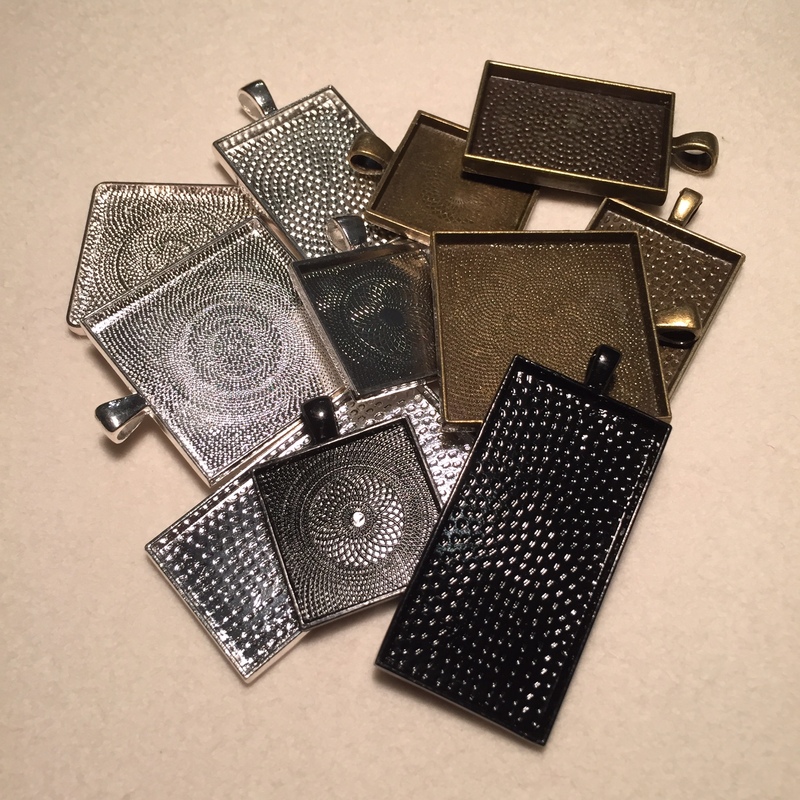 There are lots of different examples and supplies available, but I decided that my first step would be to try a pendant tray – either square or rectangular. A lovely afternoon spent browsing options on Etsy found me ordering a mixed selection from an Australian supplier, Little Red Raspberry. A selection of square and rectangular pendant trays. Step 3 – Now I needed to mount the embroidery in the tray. I laced the embroidery onto an acid free card base with a layer of pure wool felt for padding. 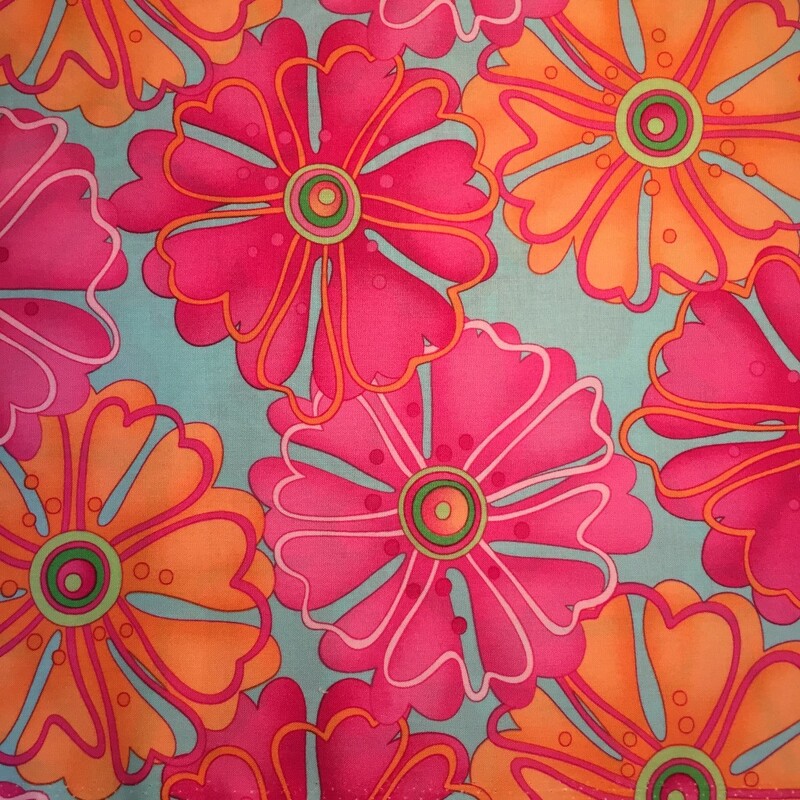 The silk gauze is a very thin fabric so this worked quite well – there was no unruly bulk on the back of my work. But once I mounted it in the tray it was sitting too proud – and there was a line of unsightly white fabric showing at the edges. It really wasn’t matching the vision in my head just yet! But nevertheless, it was my first attempt and I knew I could easily fix the problem by lacing onto a thinner base next time around. The edge of my pendant wasn’t looking great on the first attempt. 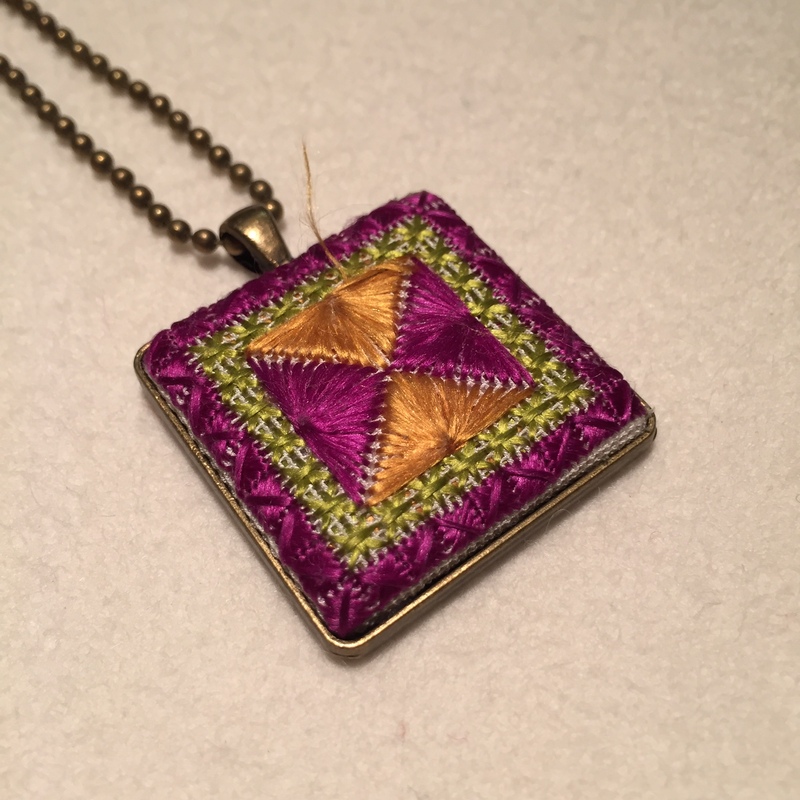 Step 4 – I figure that it is no good having an embroidered pendant or brooch if it is too fragile to wear, so it was time to wear it – yay! Ahhhhh – Houston we have a problem. 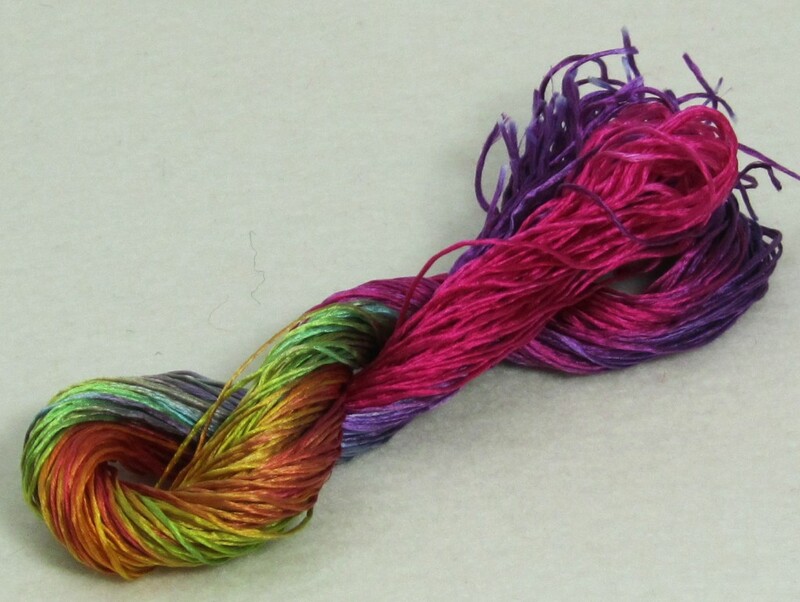 After only a couple of hours, one of the threads had pulled loose. Can you see the pulled thread? This is just not sturdy enough….yet! And that is where I am up to at the moment. The short stitch lengths have survived the wearing test quite well whereas the long ones clearly have not. Perhaps I just need to change my stitch design? 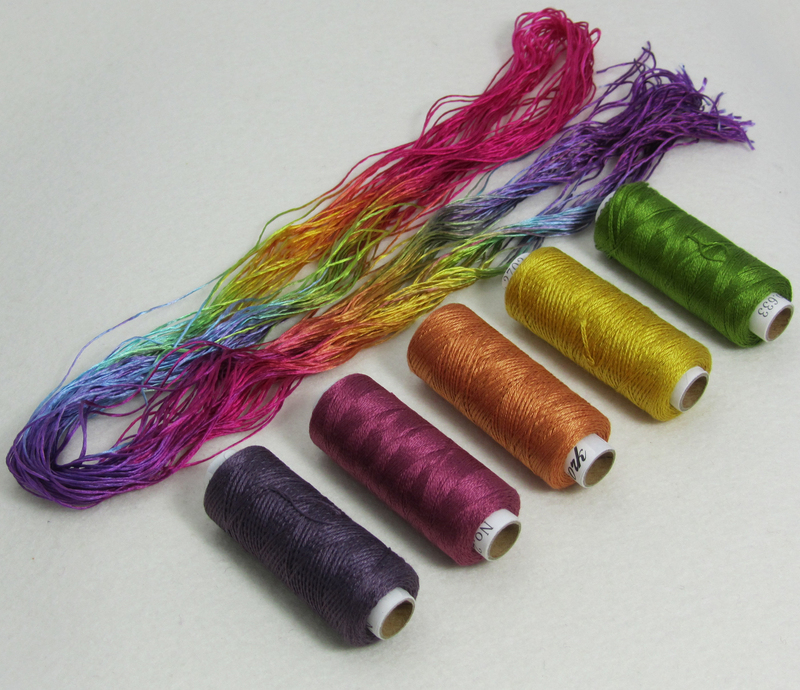 But I love the look of those long flat silk threads – the light plays so beautifully off them. 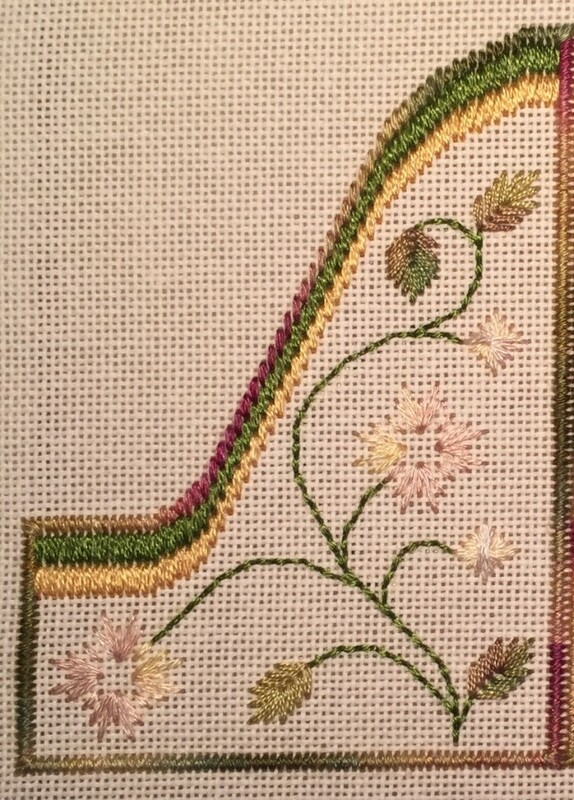 Can I find a jewellery mount where the whole embroidery would sit behind glass? Or is there a spray sealant I can use to protect the embroidery? 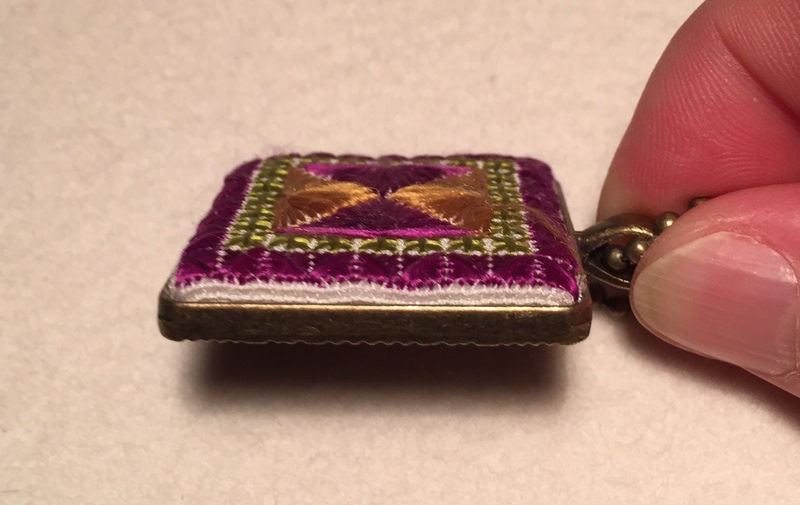 Or could you put the embroidered piece into the bottom of the tray and cover it with a glass cabochon? Or perhaps even fill it with resin? (The embroidery purists are gasping in horror at this point!). I suspect that there are going to be many more mistakes and dead ends before I get this to work just the way I want. But that really is the point of today’s post. You have to keep making mistakes until the outcome matches the creative vision in your head. And will it be worth it? Absolutely! In case you need some extra convincing, take the time to watch this wonderful video of Neil Gaiman’s address to Philadelphia’s University of the Arts Class of 2012. In one of those moments of serendipity, this video turned up via my Facebook feed this morning. I was interested because I am currently reading Amanda Palmer’s book, The Art of Asking (Amanda and Neil are married). I hesitate to admit that until I read Amanda’s book, I had never heard of Neil Gaiman at all. But I confess that I have rapidly become a huge fan of them both – mostly because there is a wonderful honesty about their creative process. I could quote whole tracts of Neil’s speech verbatim, because the whole thing is so inspiring. But here are the snippets that are important for you today. If you have an idea of what you want to make, what you were put here to do, then just go and do that. ….I hope you’ll make mistakes. If you’re making mistakes, it means you’re out there doing something. And the mistakes in themselves can be useful. 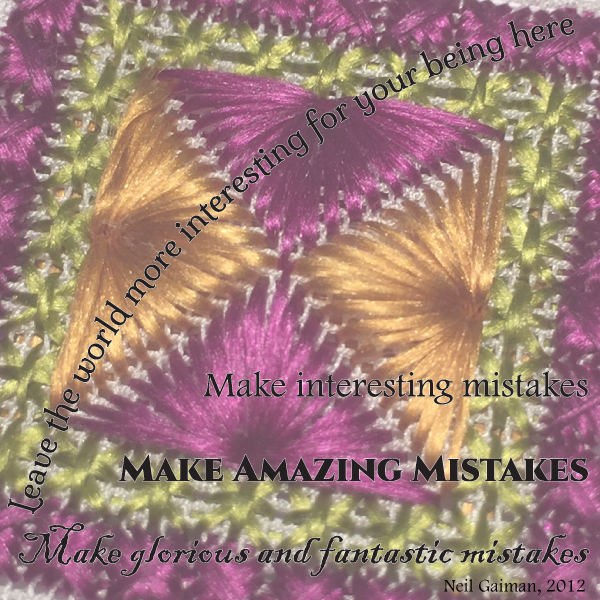 ….And now go, and make interesting mistakes, make amazing mistakes, make glorious and fantastic mistakes. Break rules. Leave the world more interesting for your being here. Make good art. So, this is what I wish for you too. If you want to create your own embroidery designs and feel that you don’t have the talent or skill to do it, then please think again. The fact that you want to create your own designs means that you are already halfway there. Now you just need to give it time, do lots of creating, make lots of mistakes and learn from them. I guarantee that it will be worth it! 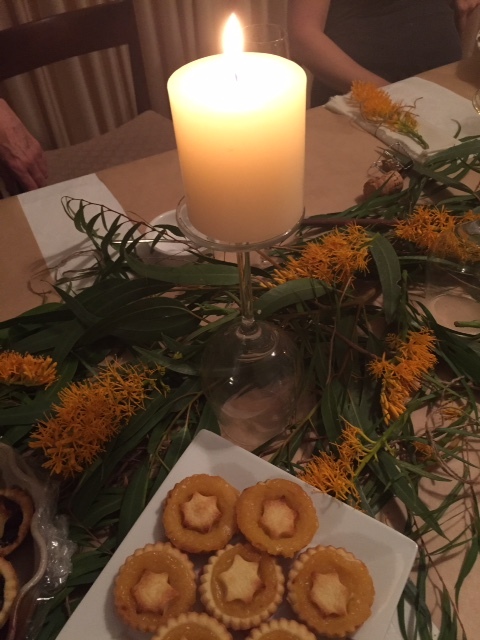 This is what a Christmas celebration looked like with friends early in December. And then Boxing Day arrives and a blissful sense of calm descends on our house. There is plenty of food in the fridge so no stress about cooking too much in the hot weather; everyone is on holidays and enjoying a rest – perhaps with book in hand and cricket on the television; the beach beckons early in the morning (just at the end of our street – we are so lucky); and after a nice swim and a walk I don’t feel one bit guilty about putting my feet up for the rest of the day. 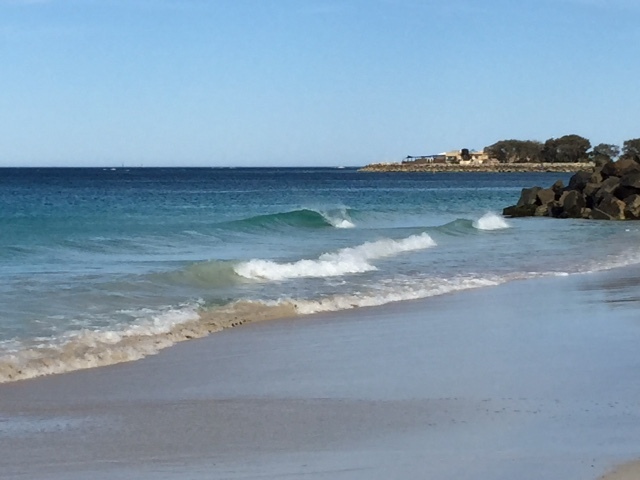 The beach at the end of our street – only five minutes walk away. This holiday bliss lasts for 2 or 3 days and then I start getting itchy fingers. My brain starts whirring again. The prospect of the New Year beckons. I wonder to myself, “What possibilities lie just over the horizon?”. And of course, “What do I want to achieve in 2015?”. I have had a fantastic 2014. I am blessed with a beautiful family and a lovely home in a safe and prosperous part of the world. I am watching my children grow into citizens of the world as they discover their own unique talents and interests. I have wonderful friends and access to far more resources than I will ever need. 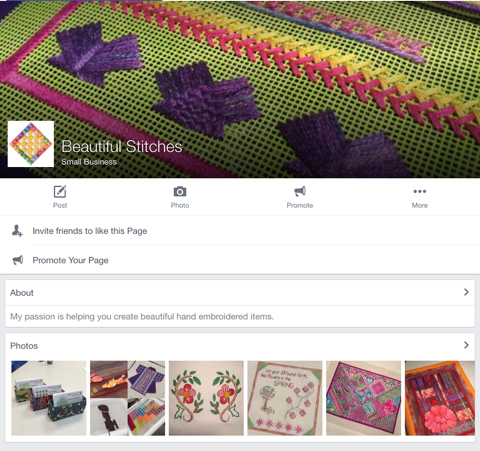 And this little corner of the world that I call “Beautiful Stitches” is a joy every single day. A friend posted a delightful cartoon on Facebook yesterday with this caption. Lots of people will tell you how difficult it is to be an artist, but nobody tells you how difficult it is NOT to be an artist. I have really come to appreciate this sentiment in 2014. During my mad November and December I went for days on end without working a single stitch and it was horrible. I missed the creative excitement I feel whenever I have needle and thread in my hand, and the grounded, centred feeling I get as colourful patterns develop beneath my fingers. 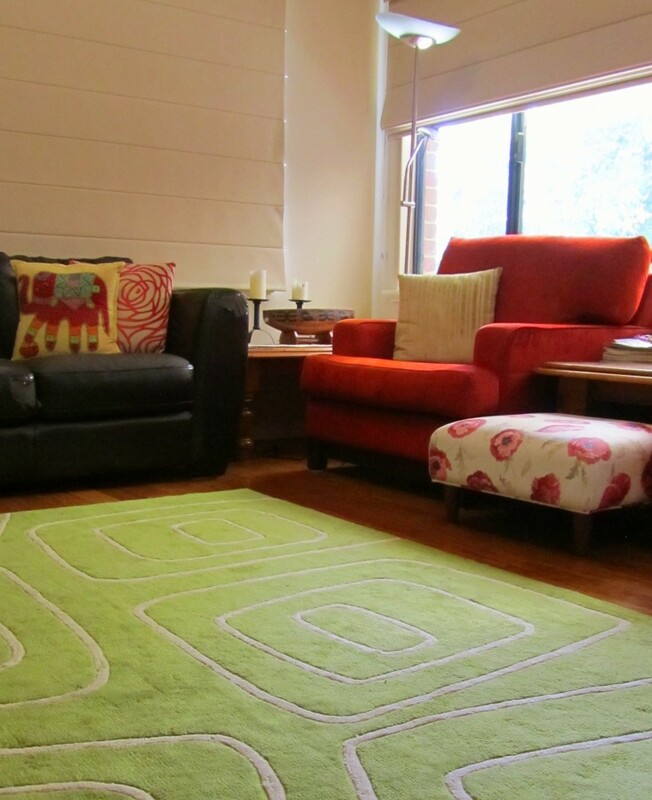 the myriad ways that canvaswork embroidery can be used to embellish useful and beautiful items for your home. May you all have a wonderful 2015. I am so looking forward to sharing it with you!